Three weeks ago I laid down in bed and felt happy and relaxed, feelings that can be rare and fleeting. I had just taken the kids over to my parents house for a quick visit to show off Mark’s “new trick”. If you presented him with his gluten free coco chimp cereal he would say “mo mo mo” for more. I beamed as he said it on command for them, and searched my parents faces for the happiness and hope that I was feeling in that moment. My dad said “this is the beginning!”. That night we returned home with optimism. We were headed somewhere, somewhere good and promising. I got into bed and felt a sense of peace that often eludes me. And then it happened. We heard a loud crash over the monitor, which prompted Ike and I to jump out of bed and race to Mark’s room. We both knew what had happened before we even got to him. 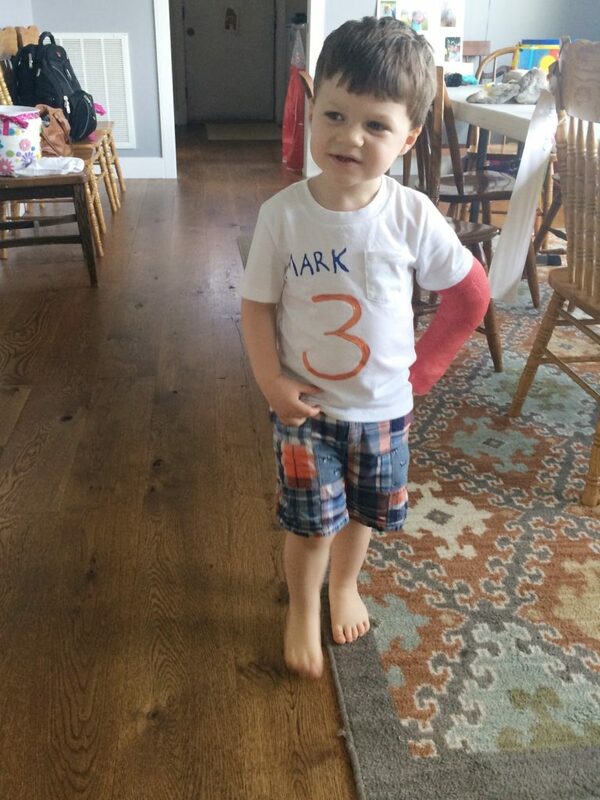 Mark had managed to get out of his crib, something we had been fearing, and I even mentioned in a previous blog post. We found him crying, standing and reaching, trying to get back into his crib. We scooped him up and brought him screaming into our bedroom. We inspected him. I touched his arms and legs, but mostly I was terrified that he had hit his head. I held him in my lap on the floor as I tried to distract him with an episode of Daniel Tiger. He would relax and enjoy the bright colors, and then it would return, the pain, the fear, whatever he was feeling would return, and he would sob. His left arm was shaking and all I could think about was the potential for this to be a seizure. I propped myself in front of him and stared at his pupils. I wondered if we should take him to the emergency room. Though after some time, he settled down, and while Ike worked to dismantle the crib, I tucked him into bed with me so that I could lay awake all night next to him while I googled “concussion symptoms” on my phone. I should have googled “concussion symptoms for children with autism”, because disorientation, slurred speech or other verbal signs were obviously not clear indicators for Mark. The night was restless for all of us, except maybe for Jillian. The next morning he seemed more lethargic than normal, but he ate his breakfast, and then we sent him off to school with my dad. Deep in my gut I knew something was wrong. 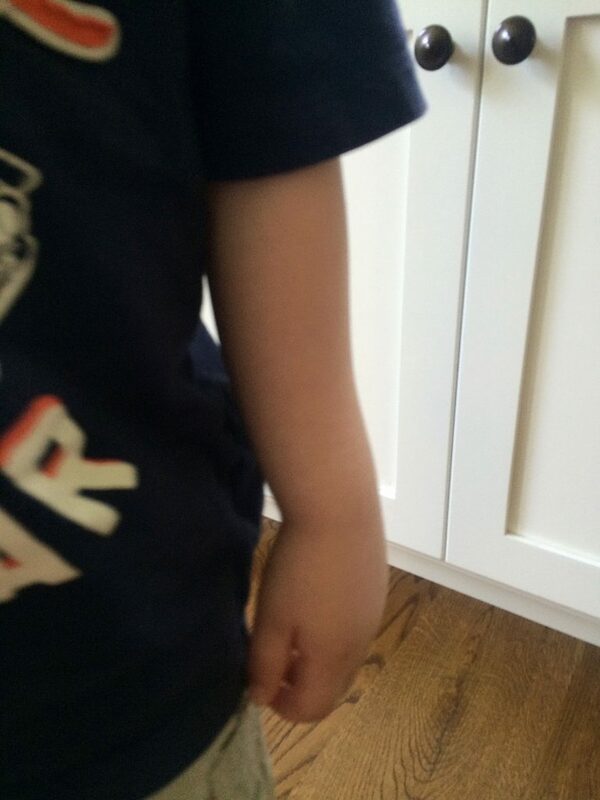 I emailed his teacher, and sent texts to my dad at each interval of his little preschool day. My dad reported that when Mark entered the classroom he fell to his knees crying and during recess he stood around lifeless not pushing his infamous lawn mower. My fear grew and after my dad dropped him off to my mother in law she noticed that he wasn’t moving his left arm. I met them at the doctor within the hour and I saw his Gumby arm. It bent in a direction that an arm shouldn’t. And I knew that he had broken it. After a trip to the pediatrician we were sent for x-rays. Please forgive me for previously whining about a haircut. X-rays were harder, for many reasons. 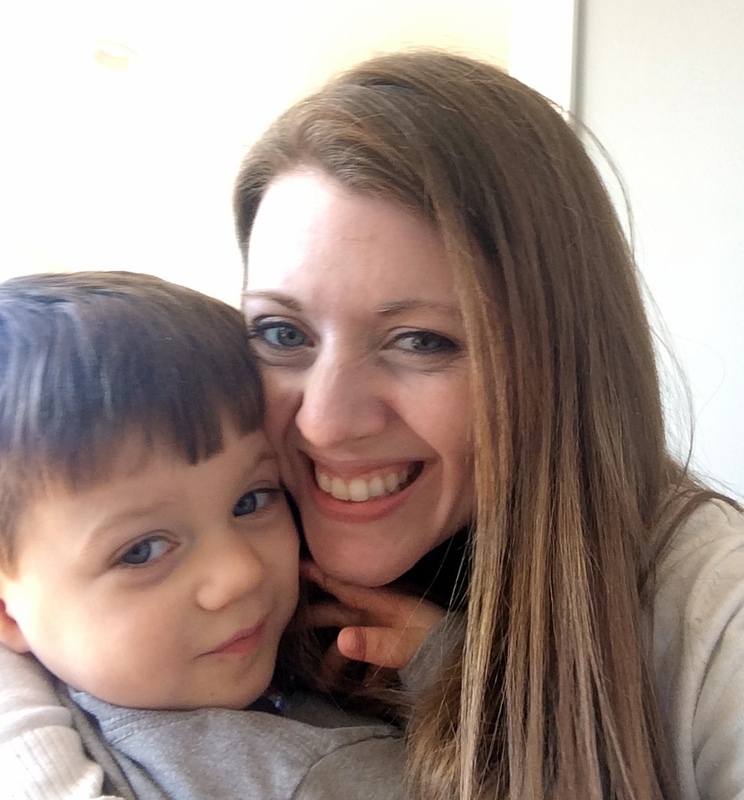 Containing him while we waited for each drawn out step of the process was taxing on him and me, but what made me feel the most defeated was that each of the medical professionals kept asking him to do things. “Sweetheart, can you straighten your arm?” “Are you able to wiggle your fingers?” “Does this hurt?” All questions he can’t answer. All questions I answered with “he has autism, he’s non verbal, and he doesn’t understand what you’re saying”. So they straightened his arm for him, and there was no mistaking that it hurt. Confused, sweaty and scared, we waited for the verdict, and quickly found out that he had broken both the ulna and radius, the two prominent bones in his left forearm. A few hours later we were sitting in an orthopedic office. The PA probably asked me this twice, but it felt like 20 times, “when did this happen?”. 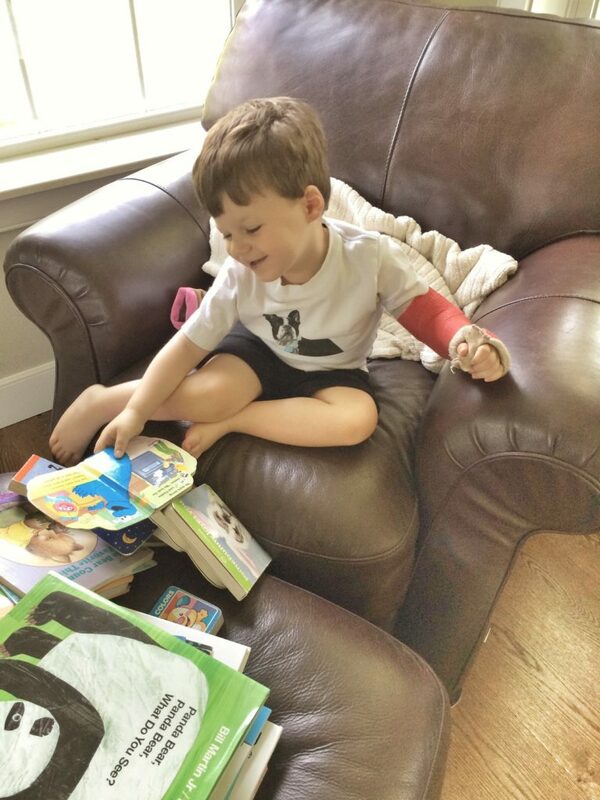 I felt sheepish and judged every time I answered “last night, and no we didn’t take him to the ER.” The man who would eventually wrestle the cast on his arm, asked Mark what his favorite color was in order to select the tape for cast. I felt frustrated, drained and defeated by how much more difficult this was for Mark because of his special needs. And then Ike perked up and said “he loves red!” And in that moment I was overcome with love for my husband, who was able to rise above the chaos and pessimism, and remember something that was meaningful to Mark. I tried to engross myself in the ten pages of paperwork while Ike held Mark down as he screamed while they set his bone. I glanced up and saw an intern observing and could feel her side glance at me as I pretended like I wasn’t listening to Mark being tortured, while silently pleading and praying for the procedure to end. 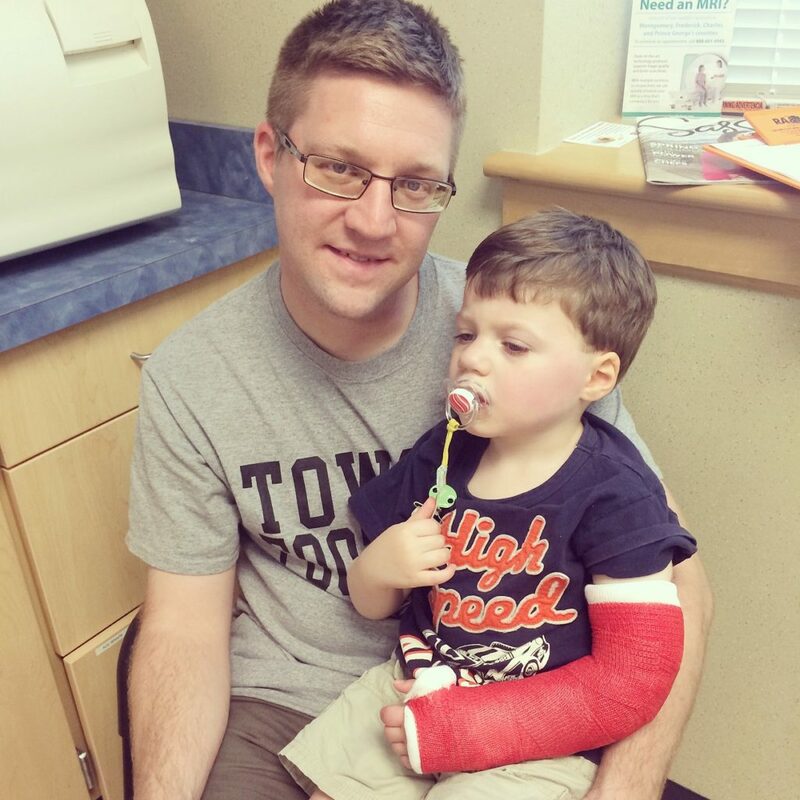 We left the orthopedic office, exhausted and spent, with a big red cast that engulfed Mark’s tiny, little arm. That evening we talked in circles trying to figure out how we were going to contain him at night. 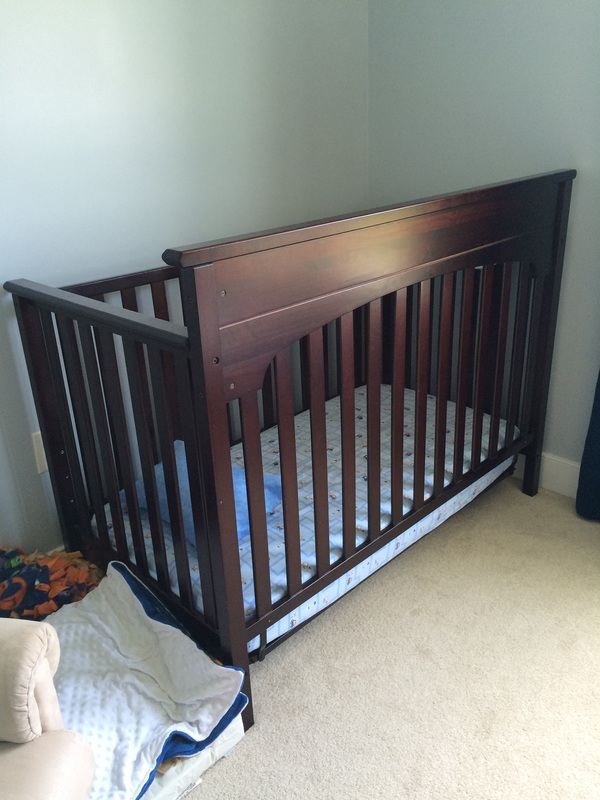 He slept in his crib once more now that we lowered the crib mattress all the way to floor. However, the following night he managed to wedge himself between the mattress and the bottom of the crib in yet another crib escape. Frantic I took to Pinterest and found some “hacks” for cribs that allowed us to flip the crib around backwards to help contain him against the walls of his room, and the remaining open side was flanked with a stack of fluffy blankets on the floor to help break any future falls. But what this incident did was open the anxiety flood gates, again. I set an alarm on my phone for that night to remember to place the gate at the top of the stairs just in case he got out again and then attempted the stairway. I began running through all of the frightening scenarios that could happen due to Mark’s lack of understanding, fear, and high pain tolerance. My thoughts raced to falling down stairs, opening outside doors, and all of the pieces of furniture that should be mounted to the wall, but are not. And I replayed the sound of his fall, the shaking arm, and the screams while the bone was being cast. 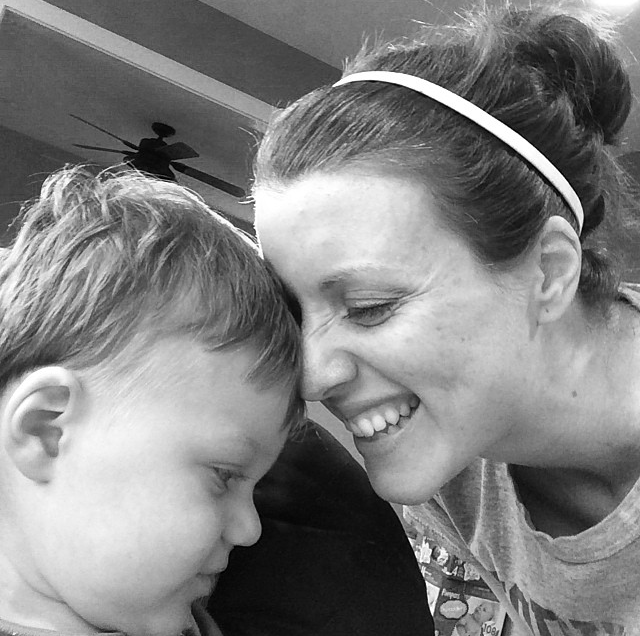 I felt like I had failed my primary mission as a mother, keeping him safe. A few days before this happened I had met with a local county official to have a tracking device placed on his ankle in case we lost him and now I was desperately trying to keep him safe inside our home. I researched leashes, harnesses, crib nets, medical beds with enclosures, tent beds, gates, alarms and canvassed each room looking for hazards. 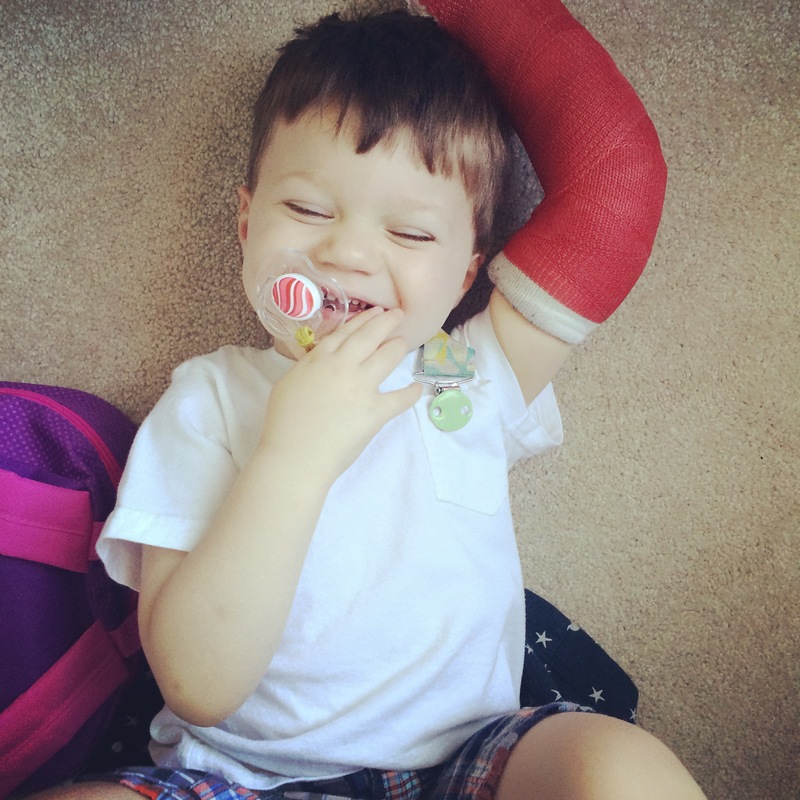 Several days passed and we adjusted to life with the big red cast that he now used as a weapon and a new fun way of sensory seeking, rapping it against stair railings and chewing on the tape. And then on Wednesday I took him to Occupational Therapy. He was having a great session, lots of efforts to communicate, attempting stair climbing and jumping onto the crash pad, along with climbing out of the ball pit on his own despite his cast, and lots of initiating activities. I was beaming. And then almost as if someone tapped me on the shoulder to interrupt the moment and whisper my fears, Mark walked over to a small metal marble on the floor of the gym and popped it in his mouth. Immediately his therapist and I dove at him. I grabbed his face and thrust my fingers in his mouth and grabbed the marble before he even got close to swallowing it. His therapist, who I adore, apologized profusely and I told her it was OK, and probably only a matter of time. So now I’ve been replaying that scene in my head, feeling nauseous as I think through what could have happened, and as I type this, I feel that way. I now see my house in terms of choking hazards. Shopkins. Legos. Barbie shoes. Princess accessories. Marker caps. The rubber ends to the door stops. Everywhere I turn I see a potential trip to the emergency room. We’ve baby proofed before but this is far more challenging. Mark’s the size of a three old with the mental capacity of an 18 month old, maybe. He’s strong, getting taller, and bigger, but has no fear, and can’t help with his own personal safety. A return visit to the orthopedic this week showed us that though his radius is healing nicely his ulna has reduced almost 10% since it was set, meaning the potential for pins, and two separate surgeries. We are to return on Friday for another round of x-rays. His fourth set in three weeks. And then last night he was so sleepy after dinner that he fell asleep in his chair, falling forward and bumping his face into the granite island, busting his lip. As I held his face looking into his bloody mouth for possible broken teeth my heart sank once more. Parents talk about wanting to bubble wrap their children and I’ve never felt a desire to do so more than now. So I have a choice. Live in constant, painstaking fear, or actually trust God. The weird turn our life has taken has been a journey in more ways than one. Not only have I grown to be aggressive with medical professionals and insurance companies, but my faith has been tested repeatedly, and a lot of the time I fail. Instinctively, I try desperately to control everything in order to create a safe space in life, but it’s pretty obvious that I can’t keep Mark safe at all times. Sure, I’ll do my best but ultimately God is in control, which is very difficult for this type A personality to accept. I want to control all the things, and find comfort in my abilities. However, the number one thing I should be doing, before researching safety measures and biting my nails, is to pray for God to keep him safe when I can’t. And more importantly, I need to remember not just what God can do, but who He is. I need to rest in His character, and remember that He loves Mark and does not want me to live with crippling waves of worry. Through the past several weeks, God has shown me that I am limited, flawed and clearly not in control, and of utmost importance, that I need to be OK with that.